Here we comes with the weekly scholarship update information. 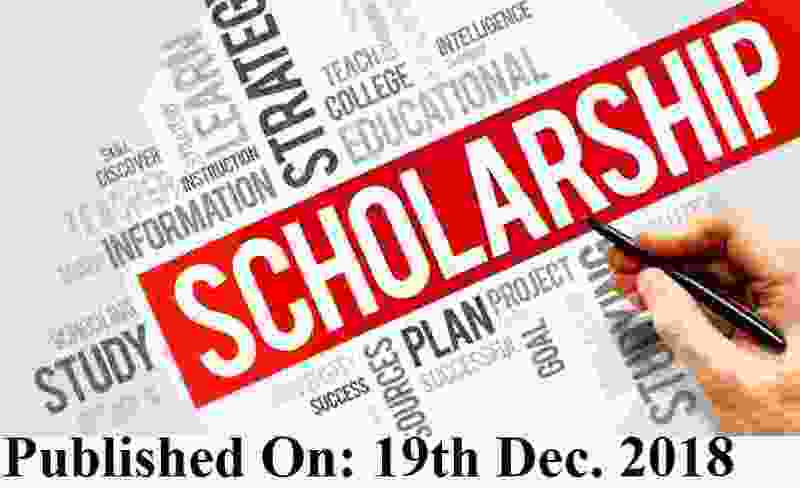 As our regular readers know that we share weekly updates on Scholarship opportunities available in India. Here we are sharing the detail of various scholarship opportunities for your readers. We took this information on weekly basis from the Tribune News paper published on 19th Dec. 2018. So all the rights of the information which we shared with you users goes to The Tribune Newspaper only. The Ministry of Finance has come up with this scholarship to assist young citizens and help their family from the clutches of poverty by excelling in academics. Eligibility: Class XII pass or appearing candidates between 2014 and 2019 session, who are appearing for engineering and medical examination, with minimum 55 per cent score in AIYSEE 2019, can apply for this call. Details: Varying scholarship award to medical and engineering students with varying time duration, depending on the course of the program. Laptops, kindle and tablets will be given to the ones meeting the cut-offs. Students who take the SAT for university admission in India, post Class XII, are given an opportunity to avail the benefits under this invite. The call offers a free SAT test in December 2018 and full tuition scholarship at leading Indian universities. Eligibility: For a free SAT in December 2018, the applicant must be an Indian resident with annual family income less than INR 6L and must be in class 12. To be considered eligible for full college tuition scholarship, the applicant's family income should be below INR 4L p.a. and is in class 12 in the current academic session. The student must have performed good in SAT to secure admission in the partnered Indian universities. Details: Free SAT examination worth ~7,000 and full tuition scholarship for any of the partnered Indian universities. 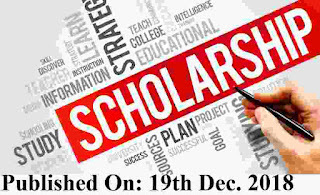 Graduate candidates, who aspire to study abroad with post-graduation, doctoral or post-doctoral programmes from any stream from a recognized university or institution, can apply for this scholarship. Eligibility: The applicant must have secured at least 60 per cent in the last academic examination. Mid-career professionals are also welcomed under this call, of age not older than 45 years, with a good academic record and experience in their fields. Details: This one-time loan scholarship ranges between ~1,00,000 and ~10,00,000. The selected scholars may also be recommended for a gift scholarship up to ~7,50,000 and partial travel assistance up to ~50,000 from allied Trusts, as decided.